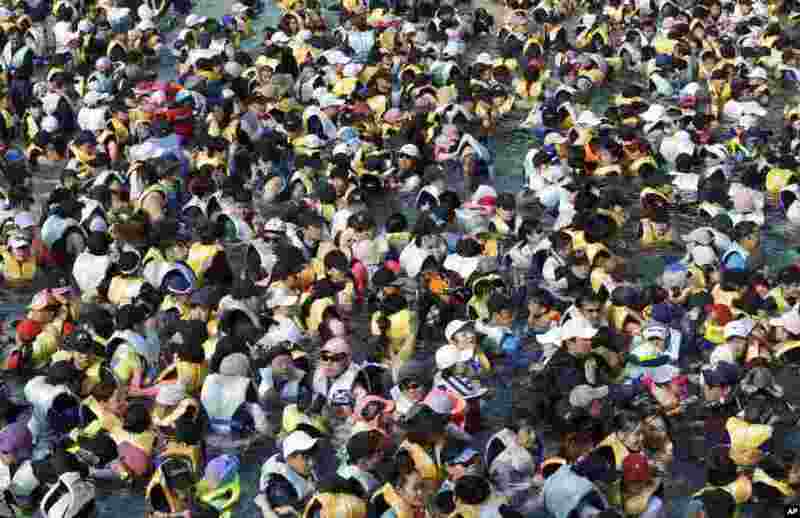 5 A large group of people crowd into the Caribbean Bay swimming pool trying to escape the heat in Yongin, South Korea. 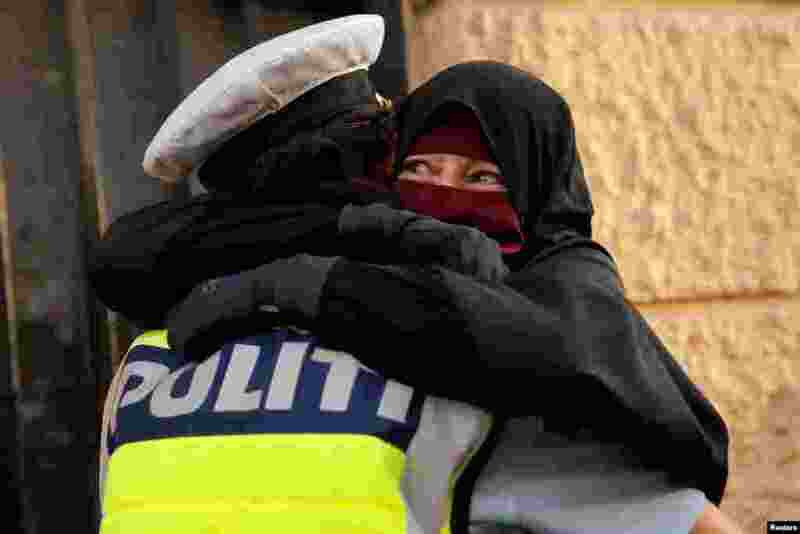 6 Ayah, 37, wearing a niqab, weeps as she is embraced by a Danish police officer during a demonstration against a ban on the face veil, in Copenhagen, Denmark, Aug. 1, 2018. 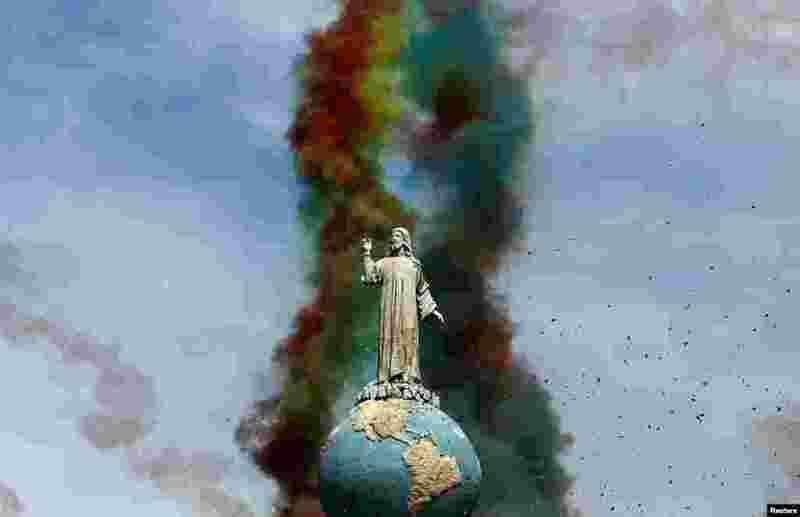 7 Fireworks are seen behind the monument of El Salvador del Mundo during the opening parade of the festivities of El Divino Salvador del Mundo (The Divine Savior of The World), patron saint of the capital city of San Salvador, Aug. 1, 2018. 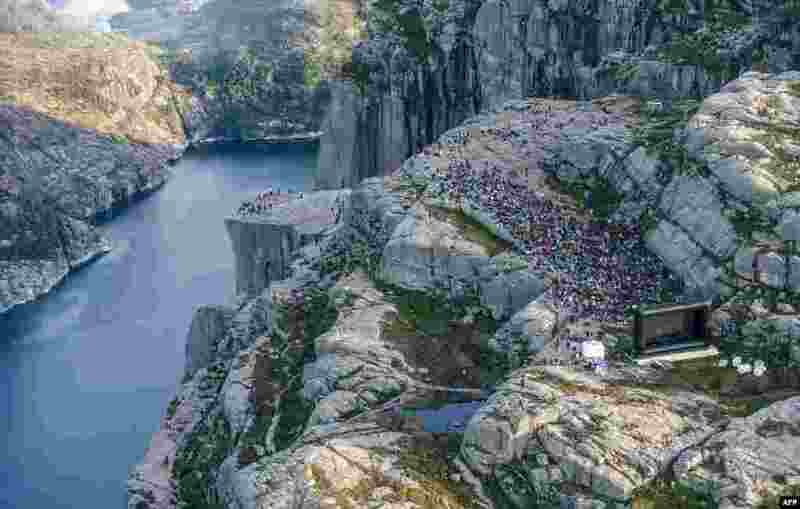 8 People gather in the mountains near Preikestolen (The Pullpit Rock) in Forsand near Stavanger, Norway, to see the movie "Mission: Impossible — Fallout," Aug. 1, 2018.